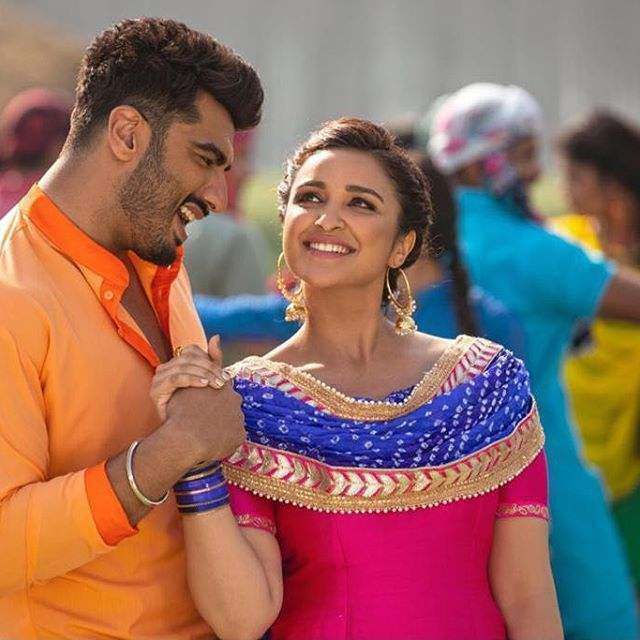 Recently, actor Arjun Kapoor posted a picture with Parineeti Chopra on Instagram. We all know about their love-hate relationship, whether publicly poking fun at each other or the on-screen chemistry they both share together, they have done it all. Currently, both actors are busy with the promotions of Vipul Shah’s Namaste England. The film is a sequel to Namaste London. Interestingly, in a recent picture posted by Arjun Kapoor on his social media, he gave the caption his own twist by adding the song lyrics of very famous ‘kiki challenge’. Drake’s In my feelings song goes like “kiki do you love me? Are you riding? Say you’ll never ever leave from beside me…” a few weeks back the entire nation was dancing on the song and eventually the song turned out like a ‘kiki challenge’, which went viral on the internet. The challenge involves the participants to step out of their car to dance to the tunes of kiki whilst the car continues to move. A lot of celebrities and common people tried the challenge, but here’s how Arjun is doing his Kiki version. After seeing the post, Parineeti Chopra had a quirky reply to it. She wrote: “oho no dates, I love my hair colour.” Well, this smart response by her lead to seeking fans attention. Both actors already shared on-screen romantic chemistry before on the film Ishaqzaade which is an Indian romantic thriller film. Now we are waiting for their upcoming movie Namaste England which is all set to release on 28 September. KJo Got Slammed By Lata Mangeshkar’s Family, For Using Her Song In An Adultery Scene! Details INSIDE! Straight Outta Airport!! Here’s How You Pull Off A Sassy Airport Look! Rekha’s Hilarious Reaction To Posing In Front Of Amitabh’s Photo Will Surely Crack Everyone Up.